On board your yacht, crew members have clearly defined roles. Your chef is in charge of the food, whilst the captain drives (well most of time paperwork aside…). And you wouldn’t want them subbing for each other and the hors-d’oeuvres being spoiled or worse. The same principle should apply to your on board equipment. There are many specialist suppliers out there with years of experience in their respective fields. They can provide you with excellent equipment specifically designed for our industry and more importantly fit-for-purpose. However, sometimes companies which may have an excellent reputation in one field, branch out into others where they do not have quite the same level of experience. Sadly, digital radio is one such area. And what should be universally regarded as an excellent technology for yachts has developed something of a ‘marmite’ reputation – some love it and some hate it. When people do run into problems, it is almost always down to the quality of the installation rather than the capability of the underlying technology and equipment. With specialist installation, everyone would love digital radio. If you choose a specialist digital radio supplier, you’ll get a system that is tailored to your yacht and simply works as it should do. Let’s take a look at what this means and why you will love a properly installed digital radio. The first reason we always cite for going digital is security. If you are still on analogue, your comms can be hacked with a cheap scanner, revealing sensitive information like crew schedules. Digital comes with higher levels of encryption as standard, and this can be upgraded to military grade if required. That will be reason enough for many people to make the switch, but it is just the start of many benefits. When it works properly, the additional functionality that digital radio provides is a revelation. The number of channels available expands considerably. 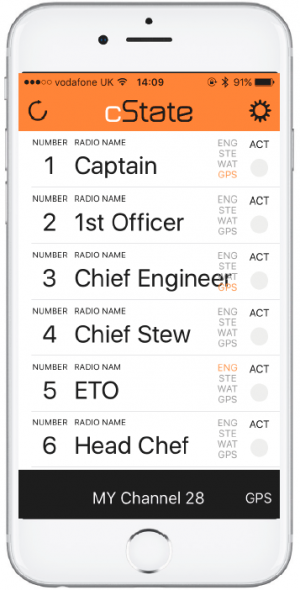 This means that different disciplines among the crew can talk individually, whilst the captain can always override them if there is an emergency. The radio can also be programmed to carry out a range of other functions, such as accurately reporting engineering alarms (instead of just saying “Tank” they can transmit more useful information like “Port water tank 80% full”). They can be used with high-end service call buttons, and can also connect and control intruder detection triggers and door releases. The real beauty of digital is that it can be bespoke. If you work with a provider with a deep specialism, you can plan the installation to provide maximum benefit to each of your departments on board. Do this and your radio system will become a real asset. What happens when you don’t use an experienced supplier? When a system is badly installed, it is often worse than an older analogue radio. And when this happens people are quick to blame the radio rather than the installation. In the last 18 months, Channel 28 has been asked to rework the installations on eight yachts that were carried out by less experienced suppliers. They had been unusable and in some cases unsafe. Following both physical and programming changes, we were able to vastly improve the quality of these systems and make them fit for purpose. 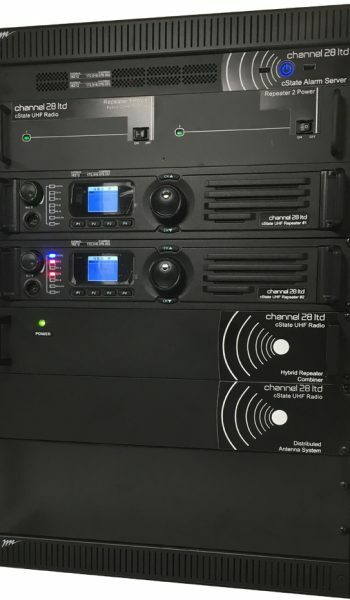 As with many things in life, what can seem like a shortcut or handy saving on your radio system can lead to problems which cause dissatisfaction and eventually further costs to put right. When you have a radio system installed and integrated correctly, you will get a lifetime of rewarding use out of it.